Ordering and receiving superior quality, well-researched and unique custom assignments have never been so convenient before. If you wish to get excellent papers written by qualified and professional writers as per your instructions, we’d be more than glad to assist you. Please follow the steps mentioned below to avail smooth, hassle-free ordering procedure. The first and foremost step is to fill out the form available on our site. We request you to provide each and every relevant detail cautiously and accurately because we require them for future communication. Along with your personal information, we also need certain details about your ordered task such as required formatting, writing style and deadline. We highly accentuate on indicating each and every detail earnestly so that you receive the assignment according to your expectations. 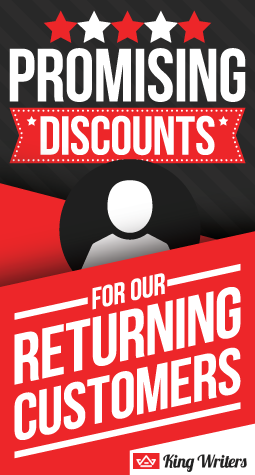 After filling in the order form, you’ll be diverted to the payment page where you need to provide your fee details. At this step, you’ve to finalize the payment. Please note that timer of the proposed deadline will begin ticking after the payment procedure is achieved. Based on your provided requirements, topic, deadline and study level, we assign a writer accordingly for your task. We make certain that the appointed writer has an experience and qualification of the relevant field of which you’ve given an order. It’s highly advisable to fill out the form precisely in order to avoid any misunderstandings and glitches in the final delivery. Congratulations! Your order is in progress. Please keep in touch with our 24/7 customer support to know the status of your order. 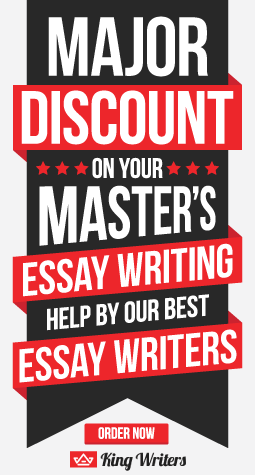 At kingwriters.co.uk, our foremost preference is to make timely assignment deliveries. We totally understand that students have tough deadlines to submit their papers and their ranks and grades mostly bank on them. To ease your difficulty, our writers make certain that the task allocated to them is accomplished ahead of the date indicted in the order form. All academic tasks done by our proficient writers are complete original, accurate and free from any grammatical, spellings or punctuation errors. Please note that we never opt for copy/paste approach in our dissertations and carefully appraise each and every page to ensure quality, uniqueness and authenticity.